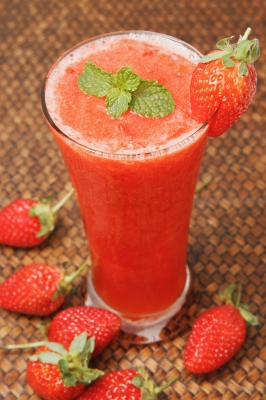 INGREDIENTS: Pack of strawberries (200g), 3 limes,2 spoons of brown sugar, mint, water, ice. Blend strawberries and place them in medium size bowl. Pour water in, slice two limes and squeeze one lime into the bowl, add sugar, mint (few leaves) and ice. Tip: Dissolve sugar in boiling water before adding to the bowl.